KILLYCLOGHER have been plunged into a management crisis following Paul McIver’s decision to step away just a few weeks after taking on the job. 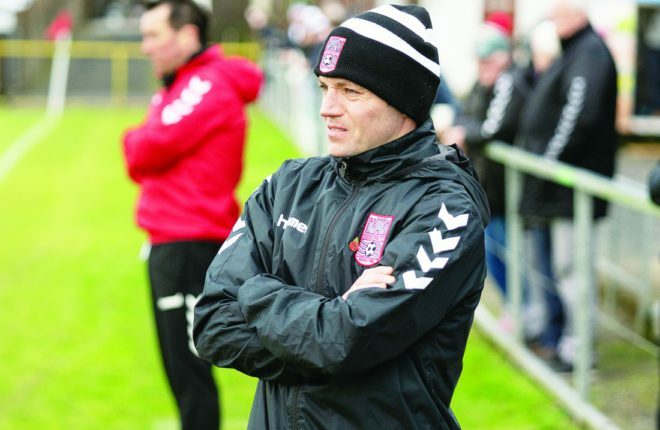 It’s understood the former Kilcoo, Dromore and Derry U21 boss made his decision after learning that a number of players are planning to spend the summer in America. He had already taken a number of pre-season training sessions, but informed club officials prior to the start of the league that he was not in a position to continue. Dermot Carlin stepped in to assume the role of player-manager, but has made it clear that this is merely a temporary measure. “Personally I can’t take it. I would love to, but I still want to play, and I don’t think you can manage and play, you can’t do both,” said former Tyrone defender Carlin. The hunt continues for a replacement for McIver as Killyclogher, county champions as recently as 2016 and beaten championship finalists last year, attempt to recover from a poor start to the Division One league. They have lost both games to date, and sit pointless at the bottom of the Division One table. “It was disappointing surely, but it would have been far worse if he had decided two or three games in that he wasn’t going to continue,” Carlin continued. “It’s his own decision, and he was going to have to put a lot of time and effort into it, and if he felt that way, there wasn’t much we could do without it. “We have a few boys going to America, which didn’t help the situation. Mark Bradley is for America, and a few other boys are heading to America. So he just said no, I can’t do it. With Tyrone expected to once again enjoy an extended run in the All-Ireland series, the Tyrone Senior Championship is set for a late start. Carlin added: “The way Tyrone is, you have your league and your championship, it’s like two separate seasons. “It’s hard to maintain it for both, and we have a lot of boys in England, boys in Dublin, county boys, and for them all to come it at this time of year is difficult. “He was there until a week before the league started. Conall McCann returned from injury to play against Clonoe at the weekend, while Tiernan McCann and Matthew Murnaghan came on as subs.